CRIME INVESTIGATION SERVICE BUREAU is located in BIJNOR Uttar Pradesh . CRIME INVESTIGATION SERVICE BUREAU is registered as a Trust at Lucknow of state Uttar Pradesh with Ngo unique registration ID 'UP/2014/0081898' . 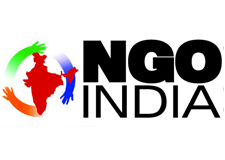 The NGO registration is done by Sub-Registrar with registration number 33-4-2014 on the date of 01-03-2014, Its parent ORganaisation is PaulFoundation. The Chairman of CRIME INVESTIGATION SERVICE BUREAU is Ved Prakash Sharma and Chief functionary officer is Naresh kumar. Promoters are Naubhar Singh, Zaheer Alam, ,.